NEW YORK, NY –Juicy Couture declares 2015 the Year of the “It” Girl. To mark the occasion, the glamorous fashion brand unveils the new, unforgettable fragrance,I AM JUICY COUTURE, and announces supermodel Behati Prinsloo As the face of the fragrance. 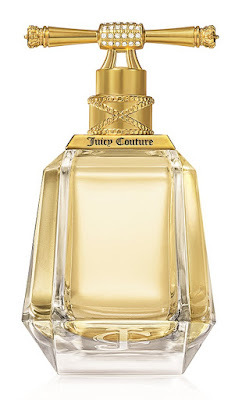 I AM JUICY COUTURE is for the girl who lives and breathes Juicy Couture and always wants more. She’s bold and fearless with an individual spirit and style that makes a statement to the world. I AM JUICY COUTURE evokes the glamorous rebel in every Juicy girl. She daringly proclaims exactly who she is not in order to declare who she is. She’s a confident and unabashed trend-setter with a casual and luxurious sense of style. Never a wallflower, she has a dynamic personality that fascinates and enthralls, and a captivating femininity that creates a sensation wherever she goes. I AM JUICY COUTURE combines ripe,juicy fruits to open this bold and alluring scent before blending a seductive mixture of Gardenia and Cashmere Woods. I AM JUICY COUTURE The fragrance opens with the biting succulence of bursting Raspberry, freshly tart Pomelo and lush Passion Fruit. I AM JUICY COUTURE In the heart, a narcotic temptation of Gardenia, Heliotrope, dreamy Rose de Mai and sensual Sweet Pea combine. I AM JUICY COUTURE It finishes with an addictive luxuriousness of soft Musks, warm Woods and Amber.The essential statement that defines her coveted style and powerful sense of self is her signature scent, I AM JUICY COUTURE. The I AM JUICY COUTURE bottle borrows from the elements we love most about Viva La Juicy,including its classic decanter shaped bottle. Through a design that is literally turned upside down,the bottle presents a sophisticated and modern silhouette. This Bold statement is complimented by signature feminine touches on the cap –Juicy Couture's Iconic jewelry toggle and chain detail.The Striking I AM JUICY COUTURE bottle is a must-have for the girl who embodies chic and glamorous rebellion. 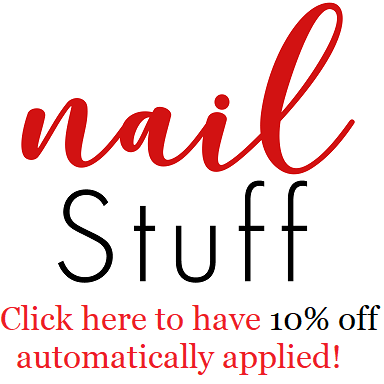 All prices are manufacturer’s suggested retail prices. I AM JUICY COUTURE is available at Hudson’s Bay, Nordstrom, Shoppers Drug Mart, Sephora, London Drugs, Jean Coutu, and Rexall early July 2015.